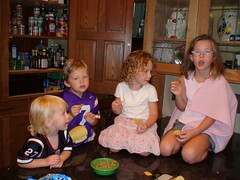 Seems every time the family gathers for a cookout or a meal (is there any other reason for a family to get together?) I am asked to make guacamole dip. My World Famous Guacamole Dip. It’s the stuff of legend. It’s slap your mamma good. Really. I’ve seen it happen. It’s been a closely guarded secret, until now. Some recipes are sacred, never intended to be shared (Harlan’s Chicken for example). 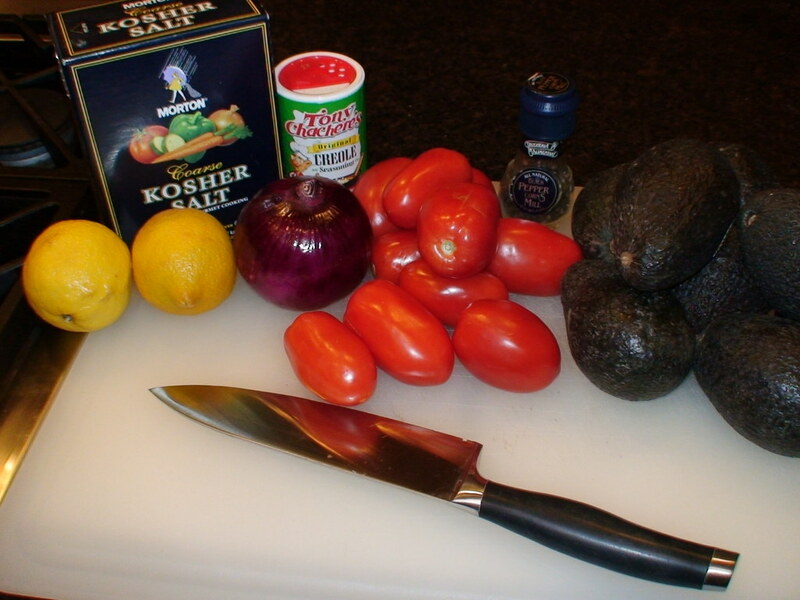 I have kept my guacamole preparations hush hush for long enough. It’s football season, and I’m in a giving mood (just ask the guys in my fantasy league). 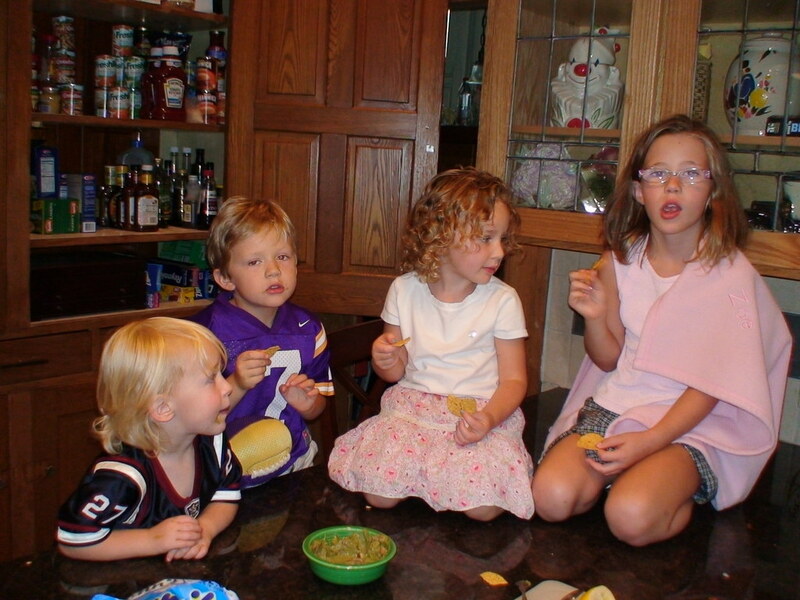 If you don’t like guacamole, you haven’t tried mine. If you do like guacamole, you’ll love this. I give you–Ed’s World Famous Slap Yo Mamma Guacamole. I usually make enough to feed a small army so adjust your portions accordingly. 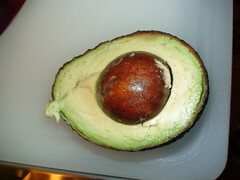 Remove the skin from the avocados and place in a large bowl. I have found the easiest way to do this is to cut it in half…. 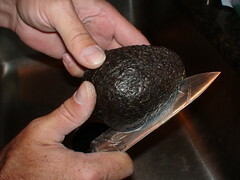 and use a spoon to scoop out the avocado. At this point you will want to add salt, freshly ground pepper, the juice from one squeezed lemon and a generous portion of Tony’s. 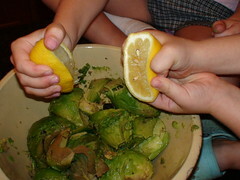 Now comes the fun part, mixing and squishing up all of the avocado. I’ve used a heavy fork, a mashed potato mixer upper tool thingy and bare hands all of which are labor intensive and messy. An invaluable kitchen tool for this project is the Braun Hand Mixer. Or any hand mixer. They work really well. Once mixed, taste. Adjust your seasonings according to your taste preferences. I prefer spicy so I usually add more Tony’s and possibly some more lemon. Keep in mind that you’ve got more yumminess to add. The onion will kick up the spice notch while the tomato will bring it back down. That’s one of the great things about making this dip. At each stage of the process you get to taste it and it just keeps getting better. 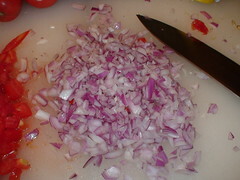 Blend in the diced onion and again taste. 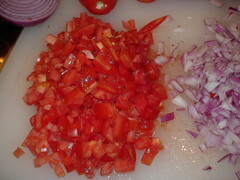 The final add is the diced tomato. I reiterate–Roma or plum. That’s key here. Also, do not use the hand mixer when blending in the tomato. You’re going to want those tasty chunks whole. The tomato may bring down your spicy level so if you want to get that back just add a bit more lemon juice and some more Tony’s. 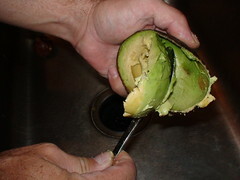 Here’s a little tip: If you need to keep your dip for a while you can toss in a couple of the avocado seeds (3-4). They will help keep your dip from turning brown too quickly. However, the best way to prevent this is to keep the dip in an airtight container and uncover just prior to serving. I normally do not have any trouble with my dip turning on me….. The seed thing is an urban legend. 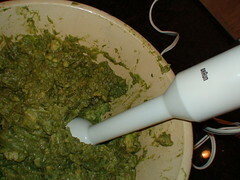 The only way to keep guac from turning brown is, as you wrote, to keep it covered. I like placing a sheet of plastic wrap right on the guac (pressing down to get out all the air), then another sheet across the top of the bowl. I like lime instead of lemon. And some chopped cilantro. I absolutely LOVE this stuff but have never tried making it myself. I was under the impression it took mayo (which I don’t like). This is probably why I’ve never made it. Either way, THANKS! FOOTBALL AND GUACAMOLE DIP! WOOHOO! I just have to take your word for it. Guacomole is green and I don’t eat anything green, it’s usually too healthy for me. You should seriously market this stuff “Ed’s famous guacomole dip”! But please tell me that the cabinet was organized just before taking the picture! Molly–That’s a cop out! Football any Saturday or Sunday–you name it. RTK–Air is guac’s enemy. Never thought about cilantro. Considered lime but I like my mixture so much I hate to mess with it. I might have to try it though. Frigga–You’re welcome. It’ll go fast in a crowd. Just warning you. Jen–I’m a mayo freak! I don’t think I’d appreciate it in my guac though. Amy–let it sit uncovered an hour or so–it’ll be brown. Would you eat it then? James–You’re right, I should–but wait…I just gave away the secret recipe. Damn! Jeff–Yeah, sure. That’s’ it. I organized the cabinet because uh..I knew I was going to take the picture. Really, I’m not OCD or anything like that….are you buying it? Mmm, I love gaucamole! I don’t know if I can get that seasoning here but I am going to try! I LOVE guacamole.. I’ll have to try this. Only problem is I’m the only one in the house who likes it, so thanks for the tip about the pits! Kami–You can order it online. I couldn’t find any when I first moved to Ohio so I bought a case. Now I see it evrywhere! Karen MEG–I hope it works–Like RTK said–best way to keep it is in an airtight container. Also, if it turns only slightly–just stir it up prior to serving. Enjoy! We have the same recipe! LOVE fresh quac! Nyom nyom nyom!! 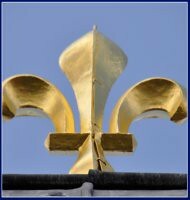 Nola–it’s the best I’ve found! Mrs. 4444–You won’t be sorry.